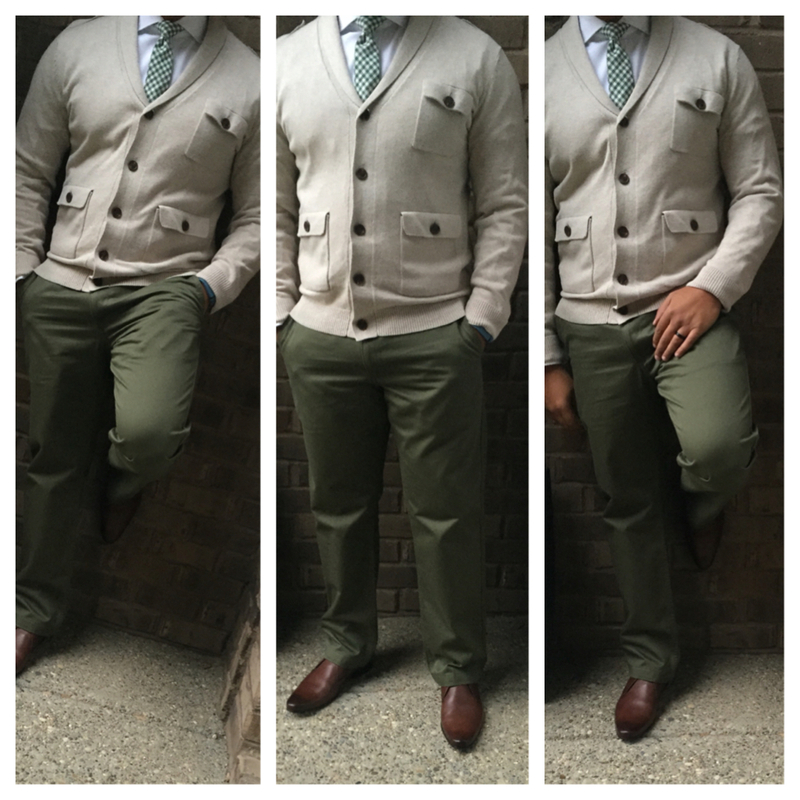 I wear a suit 4 out of 5 days in the office, but when the weather turns cold, I opt for a less formal option – a cardigan sweater and chinos. This ensemble still keeps me dressed appropriately for work and meetings, and also keeps me warm and casual for when the rain and snow come. For the every day gent who doesn’t want to don a suit, going this route is a great alternative. The Details: Cardigan by H&M, Chinos by Uniqlo, Plaid Tie by The Tie Bar, Oxfords by Ted Baker.